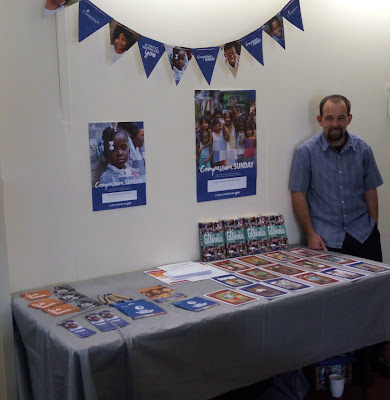 My name is David Chalmers and I am a Global Poverty Fighter. While that may sound grand, all it means is that I am a sponsor and advocate with child development organization Compassion International. Compassion started in 1952 and currently partners with the local church in 26 countries releasing children from poverty in Jesus' name through providing food, water, medical care, educational help, a loving sponsor to speak words of life and encouragement, and the opportunity to have a relationship with Jesus. 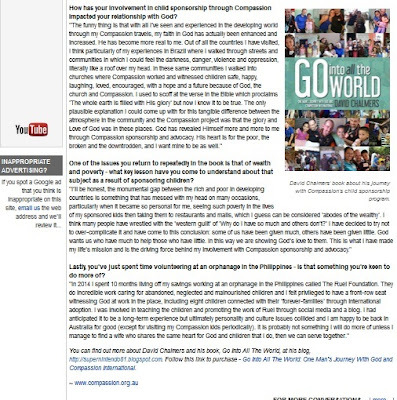 I am a 35-year-old teacher from Australia and I started sponsoring with Compassion at the end of 2006. God put Compassion on my heart to such an extent that since then I have been a financial and correspondent sponsor for 75 children in 26 countries. I have also visited the homes and communities of 32 of my kids in 12 countries, as well as some others on behalf of my friends who also sponsor. Despite my inexhaustible passion for the ministry of Compassion, I must make it clear that I am not a Compassion employee or spokesperson. Just an 'Average Joe' who has seen the effectiveness of Compassion in action and I want everyone to know about it. While there is no easy answer or quick fix to the problem of poverty, joining the local church around the world in partnership with Compassion is a good start. I have embraced a life of simplicity, generosity and sacrifice for the sake of others and I am trying to set an example, particularly for Christians in the developed world, that we can make a difference in the lives of others rather than living a life devoted to self, ease, comfort and pleasure. That is not what God has called us to. I choose to do it through Compassion sponsorship. One day we will all be accountable to God for the way we used what He gave us to look after, and to use for His glory. Did we use it for ourselves, or to help others? 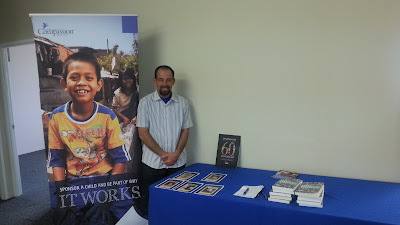 The last ten years of sponsorship and advocacy with Compassion have been amazing. On my travels God has taken me to see and experience things that have both brought me to the depths of heartache and lifted me to the heights of joy. 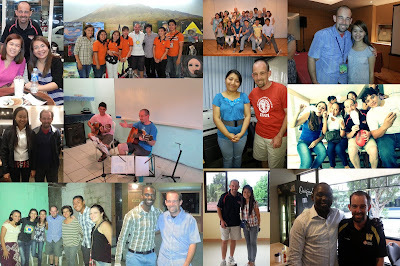 This is my current Compassion family: 15 financially sponsored and 15 correspondent kids from 15 different countries. 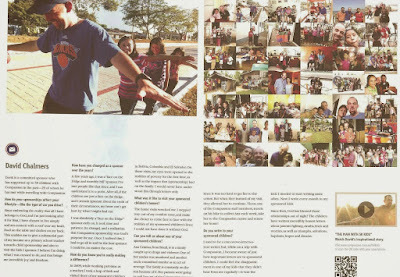 I was humbled to have my Compassion journey feature in the September 2013 edition of the Compassion magazine. This is an article that appeared in the Portland Observer newspaper on Friday January 9th, 2015. Portland is a small town in southwest Victoria where I lived and worked for three years. 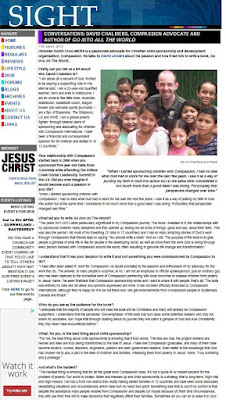 This article appeared in the Portland Observer in October 2012, shortly after I returned from visiting ten of my sponsored children in Brazil. 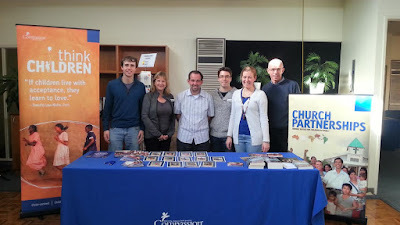 I have loved being able to share about Compassion at churches and in classrooms. I have been privileged to meet many Compassion graduates: young adults who grew up in the grip of poverty but, thanks to God and Compassion, are making a genuine positive impact on their families and communities. This is the cover of the book I published in 2015 with Ark House Press in Australia. It is all about the work of Compassion and contains stories of many of the trips I have taken to visit my sponsored kids. It is not a warm-fuzzy feel-good read. The stories are all real and are not fabricated or embellished in any way. The stories of the home visits to people trapped in poverty are often tragic and heartbreaking, but on the flipside there is so much tangible joy and hope for the future in the work that Compassion does. I have seen it for myself and I want to share it with people. 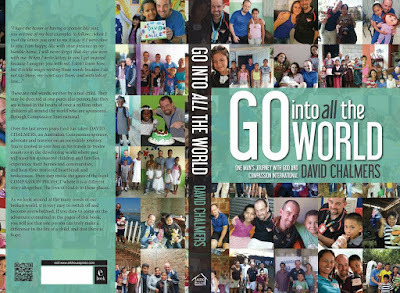 Here are some blog reviews of "Go Into All The World"
In February 2015 I was blessed to have interviews for both radio and TV in Australia, promoting my book and Compassion. On February 21st I was flown up to Sydney by Wesley Mission and interviewed for their weekly TV program "Wesley Impact TV" ." It was aired on Sunday May 24th, 2015 at 5.30am on Channel 9 (Australia) and on the internet a week later. Four days later I recorded an interview for Vision Radio and History Makers Radio which was aired on April 5th, 2015. 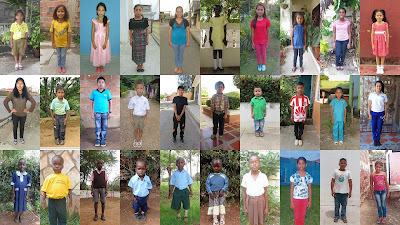 The Man with 50 Kids from SIM Stories on Vimeo. This video featured during the kid's segment at Glen Waverley Anglican Church's Compassion Sunday in 2014. I was told 15 kids were sponsored after the service, and to even have played a small part in that was amazing. Oh my goodness, this all has added up to so much, hasn't it??? It's been amazing Crystal :) And I'm not done yet.